Tips and Traps - 3D greyhound racing! Buy, train, bet and race your dogs to success! Welcome to the thrilling world of greyhound racing! With $10,000 and a kennel of potential champions, you have 10 years to become the most successful owner ever! he most wins - the most prize money. Be top dog in all three to become the greatest owner ever! You'll be barking mad to miss out! 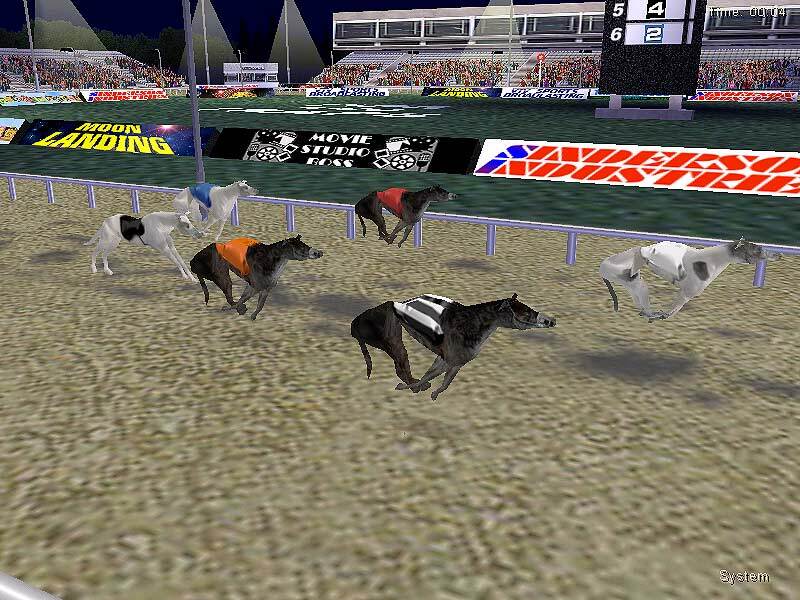 Features: Greyhound management and race simulation. Manage your kennel for 10 years. Watch either 6 or 8 dogs race. On-track betting. Play against 5 or 7 other players either human or computer-controlled. Exciting 3D race section.